The past several weeks have been way too busy for my liking (hence a complete lack of time for posting to this blog!). This is my favorite time of year and I would like nothing better than to relax with my family, celebrate the birth of Jesus, cuddle up to watch Christmas movies, bake goodies, and relish the season. While I’ve gotten to do many of the activities of the Christmas season, some unforeseen circumstances have caused me to be mentally cluttered and stressed. The team I manage at work experienced significant turnover this month and I took on a new leadership position at my church due to a sudden resignation. Most of these situations were beyond my control. I was already busy and these events pushed me to become overwhelmed. As a result, I switched into hyper-planning mode in order to make sure no balls were dropped. Really, it was a survival mechanism. However, I also started falling into the happiness trap of telling myself that all of this was fine. Good, even. There was a little of that, “Look how much I can handle. How much I can successfully pull off, and with a smile!” attitude settling in. It was a very familiar place for me. I’d been there before. Taking on more and more, living by my (ever growing!) to do list. Making time for more activity at the expense of connecting and being in the moment. But, after a little while, this state didn’t work for me. I could feel the disconnectedness from my family and missing out on the enjoyment of Christmas time. This was not how I wanted this season to be. A couple conversations with my mom and husband helped me to clarify my feelings. Although these extra responsibilities are mine and I’m not going to shirk them, I need be real that this isn’t all fun and admit that don’t I want to be this busy. It’s interesting to me that, after all of this growth, I still have trouble identifying my feelings in the moment. There’s still that sense that things need to be labeled as “good” in my mind, and that often means suppressing my real feelings. Or, perhaps that’s just normal? 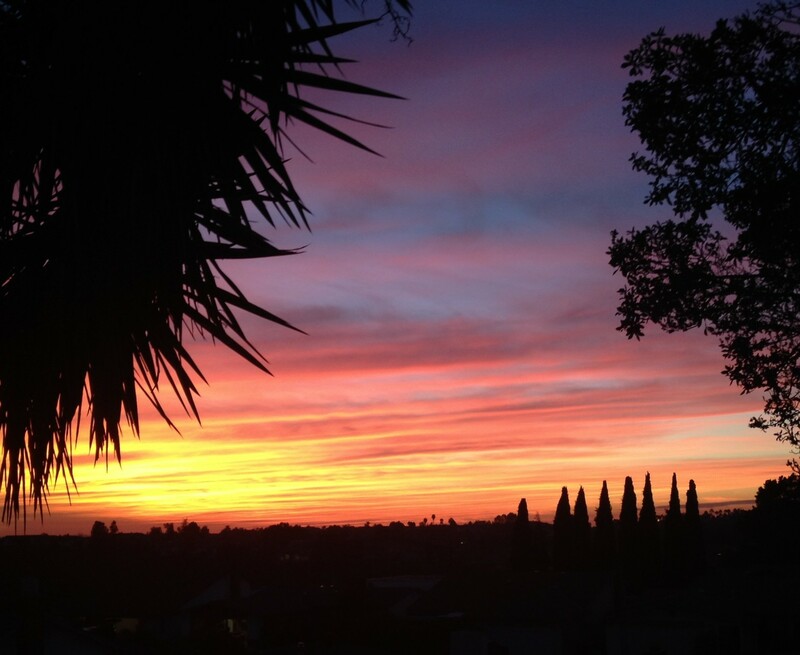 Maybe it takes awhile for ones “real feelings” about a situation to manifest themselves? 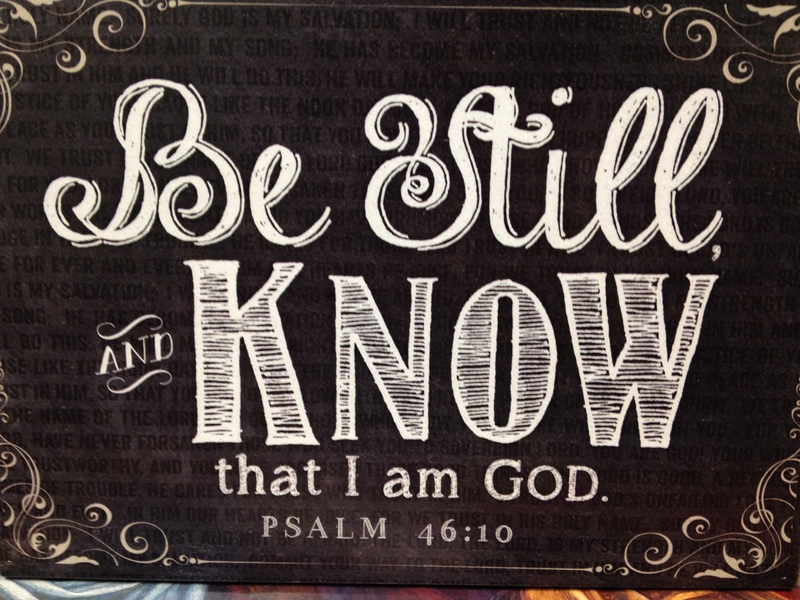 This week my friend and co-worker gave me a “Be Still and Know” sign, that I’m keeping in my office. It was a perfectly timed reminder of how I want to live – in the peaceful knowledge that God is taking care of every moment, whether it’s happy, frustrating, stressful, or otherwise. This situation was yet another reminder of the constant ebb and flow of emotions in life. I’m happy to be embracing the moment and focusing on celebrating the birth of our precious Savior this week.